Marketing automation software allows businesses to manage their email, social, website and marketing analytics, from a single platform. With our cloud-based platform, it’s never been easier to drive engagement through multiple channels with the help of marketing automation. Your business can excel at lead nurturing and increase conversions with the help of personalised emails, landing pages and sales notifications. It’s suitable for any sized business, B2C and B2B. As an agency partner of SharpSpring, we offer a fully managed marketing automation software package. Our technical team will configure the installation of the initial code into your website and setup email domain verification for DKIM approval. Plus, we can personalise the system for your business by creating Sales and Marketing team profiles. *£500 is the licence fee only. Additional develop are charged per hour. This excludes the one-off setup costs. The first step is to analyse your current campaigns and investigate how to interact with your systems. We’ll deliver your first automation scenario that utilises marketing automation software. Our technical team will configure and install the initial code, setup the domain and email for sending using DKIM verification code, then personalise the system for your business. Then we’ll connect or migrate your CRM and start your initial workflows. This is where real automation starts. Launch your campaign and analyse the results live. And the cherry on the cake, our team is available to develop more complex workflows and create amazing content, as well as provide support. 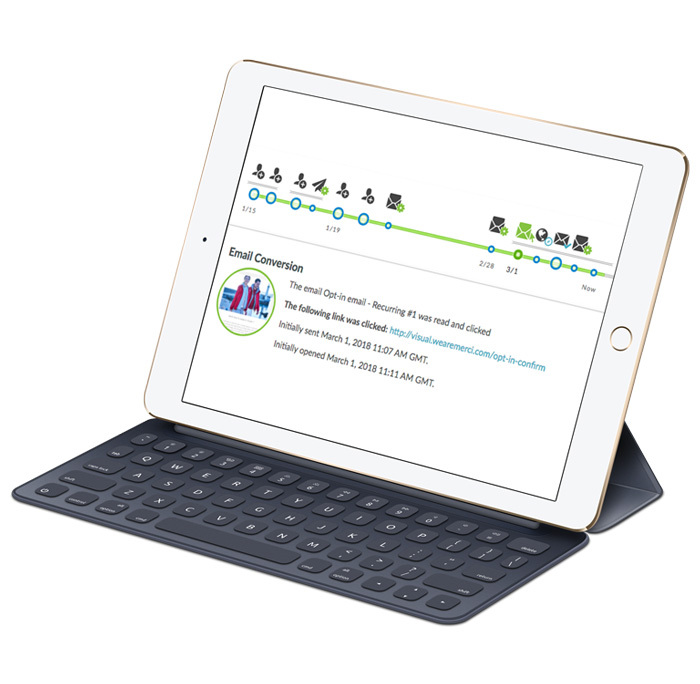 Workflows can be as simple as a notification, or as complex as a dynamic email trigger. Marketing automation tools that previously costed £10-15,000/month, now cost as little as £500. For businesses with large audiences, the monthly price can increase. Why not enter your information below to accurately calculate your overage costs. We can calculate your monthly costs by taking into consideration your monthly website page impressions, monthly email sends and total contacts. These are additional costs on top of the licence fee. Your business may not even reach the threshold for overage, but let’s see. When it comes to marketing automation software, there’s three questions you should consider; What are the contract terms? Who will manage the software? What’s the licence fee? SharpSpring is the only platform to offer monthly contract terms. You should be able to cancel at any point if you don’t feel like the platform is the right fit for your business. Marketing automation requires a dedicated person to manage the platform. We offer expert management services to help setup automation workflows, segmentation rules and more. 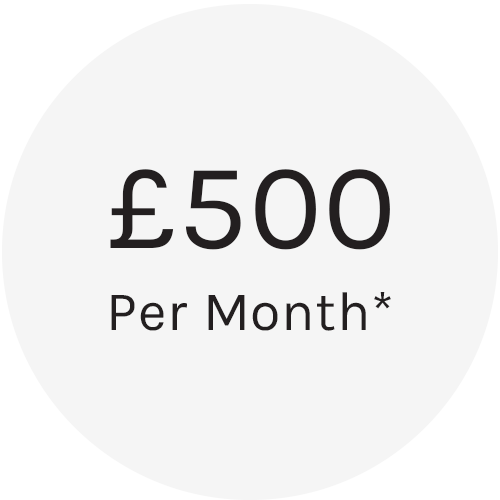 Our monthly licence fee is guaranteed to be cheaper than end-user prices. In addition to this, you get the backing of an experienced SharpSpring agency partner for support. It’s an advanced tool with unlimited expansion, but marketing automation is really just another piece of software you’ll be using one day. 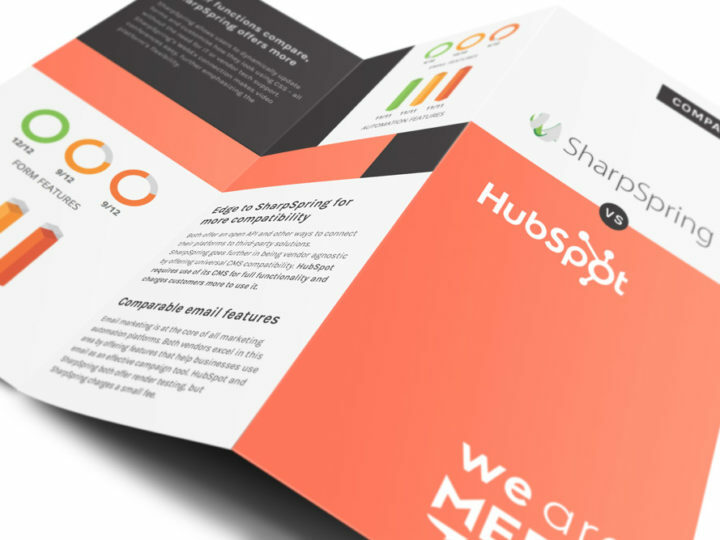 Are you looking at Hubspot marketing automation services? If so, check out our SharpSpring comparison guide for prices, features and contract terms first. Don’t get locked into long term contracts, there are other options. 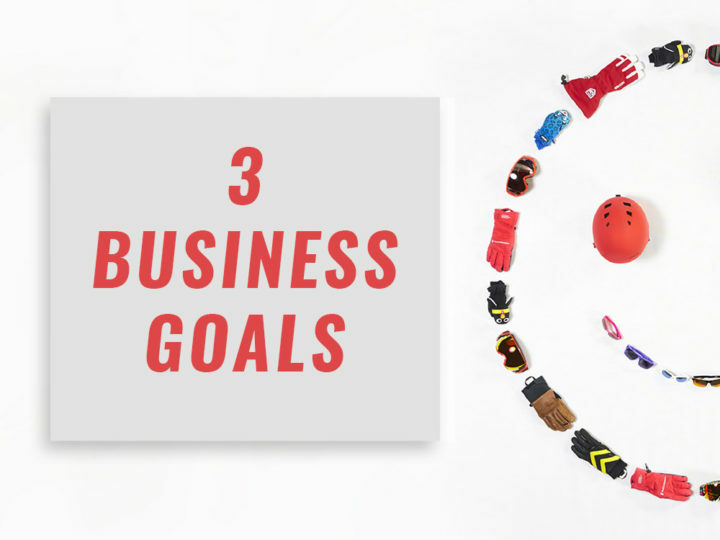 Read our blog on the three business goals you can achieve with our marketing automation – from sales team accountability, personalised emails and more. As with many industries, marketing automation also has confusing terminology. It’s why we created a guide to help, download it today. 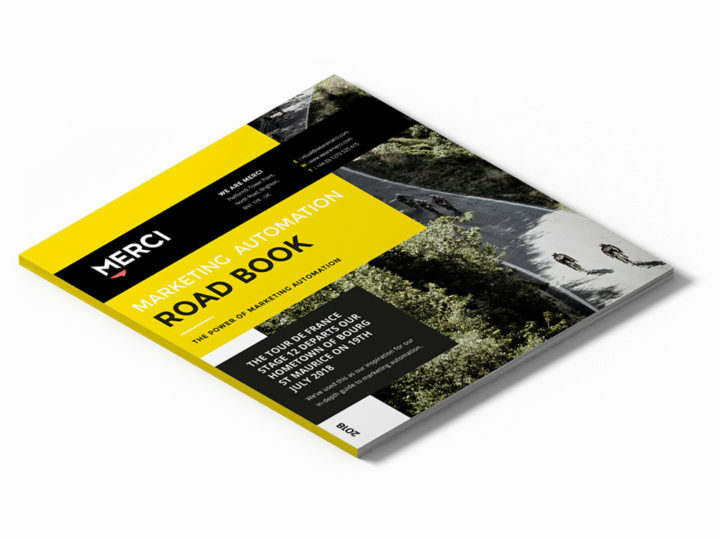 Download our Tour De France inspired Marketing Automation Road Book, designed to help you understand personalised marketing in an easy-to-digest format. If you’ve done some research, you’ll know there’s several platforms on the market. Choosing the right platform can be difficult since all of them vary in price, features offered and contract flexibility. Here’s 5 most important questions you should be asking when choosing a marketing automation platform. Are the key features you need included? Don’t pay more for features you aren’t going to use. Know what you really need, and make sure the platform you select delivers on those. We’ve highlighted the key features of Sharpring below, but if you require more in-depth information, contact us and let’s talk about marketing automation for your business. Ask if you have to sign a quarterly, annual or other long-term contract. You should be able to cancel at any point if you don’t feel like the platform is the right fit for your business. We offer a monthly contract, like most things these days it seems. Is it an open or closed marketing automation platform? An open system allows you to use any CRM, content management system, blogging tool, landing page builder, forms builder, etc. Be wary of a closed system – it can cost you more in the long run, especially if you decide to leave. In an example, the hotel and hospitality industry require an open platform to connect their booking CRM, with marketing automation CRM. You shouldn’t have to take out a mortgage to get started. Some vendors require full payment upfront – tying up valuable marketing dollars that could otherwise be spent on execution. Look for a provider that offers month-to-month billing and no long-term contract. Should you work with an agency or manage this in-house? While many platforms are user-friendly, there’s legwork involved in setting up a marketing automation program that produces results. And ongoing efforts are needed to maintain and update your campaigns, add new ones, and produce regular reports. If you can’t allocate someone in-house to lead the charge, consider using a marketing agency that specializes in these services. Ask the marketing automation vendor if they have a network of agency professionals that can help you achieve your goals. Experience the power of email personalisation with our interactive demo. Simply enter your name and email address, then check your inbox. Compared to other top marketing automation tools, Sharpspring is the only software platform to offer Monthly contract terms. Our offering has all the same features as an end-user, with unlimited users and a fraction of the cost. In addition to this, using an agency partner like us gives you 100,000 contacts with each licence. Compare the different platforms prices and features below. The chart below displays our offering price of various marketing automation platforms and their end-user price. 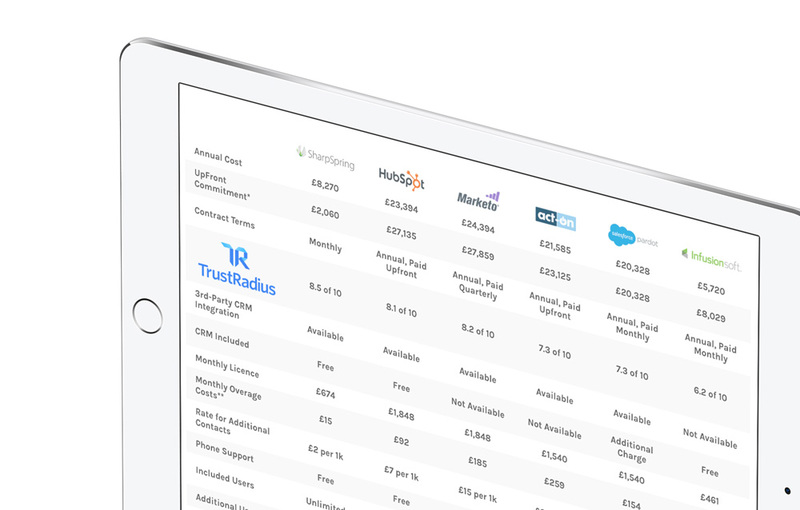 To view our agency prices for SharpSpring vs Hubspot, click here. The estimated prices below are based on a medium sized business, with 20,000 contacts in their CRM, and an average growth of 2000 contacts per year. *Upfront commitment includes onboarding fee + the total license fee vendor requires at signing. **Overage is calculated at the number of contacts, emails and page impressions over the package offering. As a medium business, we’ve estimated an annual growth of 2000 (overage). This overage particular excludes email and page impressions overage. 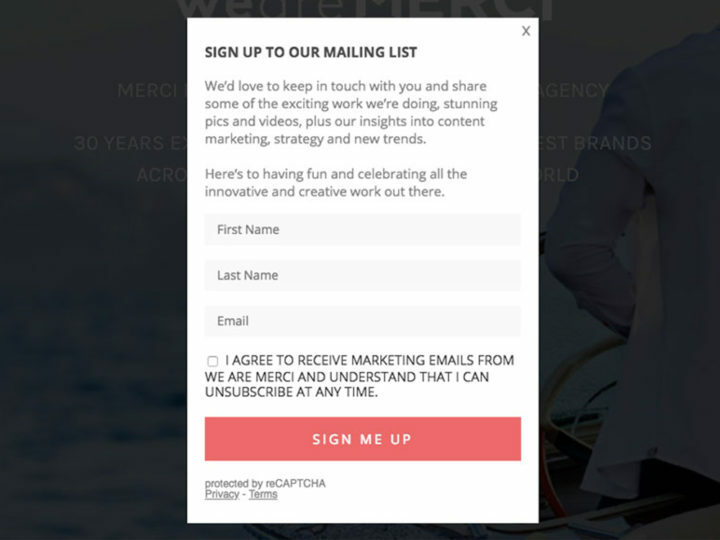 Our system is packed with a full list of features to help nurture your leads, build dynamic emails and increase conversions. Put an end to “email blasts” and start conversations that lead to conversions using behavioural-based email automation. Fields autocomplete for known visitors to improve conversion and can even map from 3rd-party and native forms. Build automation tasks with branching logic, combine tasks with action groups that lead to conversions. Receive a daily list of the hottest leads right to your inbox, configure the important pages and triggers automation workflows. Schedule one-to-one personalised follow up emails from your sales team, and generate opportunities when specific triggers are met. Make your blog dynamic and engage your blog visitors and subscribers with content designed just for them with custom fields. Drive more conversions with dynamic web content that changes based on visitors’ interests, attributes and website activity. Accurate and powerful metrics for your campaign reporting. Connect your Google Adwords to track paid campaigns. 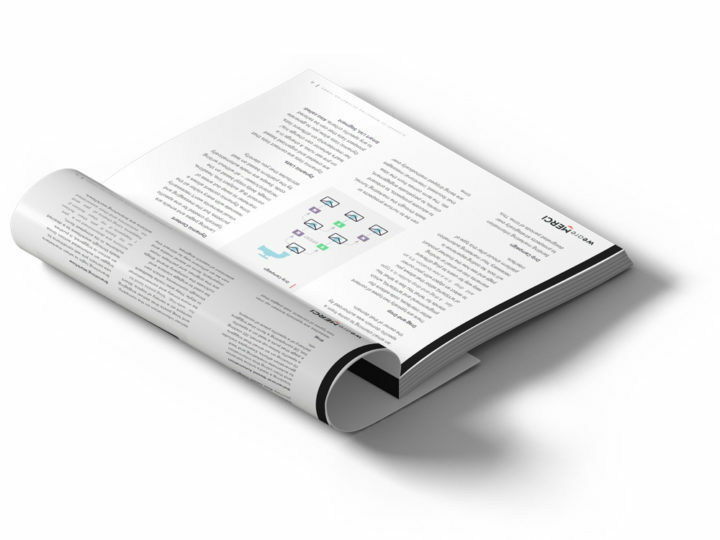 Connect to hundreds of 3rd-party software providers and sync external databases to maximise your marketing scale. Send notifications to any user when specific criteria or actions are completed on your website and push that conversion. As customers navigate your website and complete forms, we can easily segment them into lists to target personalised content. Get a comprehensive look at all of your planned content – social activity, scheduled emails and blog posts in the Content Calendar. Email marketing is an effective digital strategy of sending emails to lists and leads. With email marketing, a business can excel at lead nurturing and build relationships with their prospective customers. Customers spend 138% more on products if they’re marketed by an email that contains an offer. Do you think social media does better? It doesn’t. In fact, the average order value of an email campaign is at least three times higher than that of social media. Email marketing is all about building relationships with your audience. With dynamic content, you can increase the click rate of your campaigns as leads receive content relevant to their interests. The subject line, text and images of your emails can all be personalised – this can increase open rate engagement by 30%. Why use marketing automation for email marketing? With behavioral-based email tracking, your sales team have the tools to analyse the visitors activity and tailor future campaigns around this data. Marketing automation is the only tool which sends notifications to your sales team as leads complete specific workflows and read specific web pages. We’re offering a free trial to use our smart CRM, which gives you full-access to all marketing automation features. Try out dynamic content and define a different subject line for every persona of your audience. Consider the following: A photographic company sends a monthly newsletter to their list of 15,000 contacts, outlining their latest offers and new products. The primary section in the email includes the latest Sony software update. For the majority of the list, this image may work effectively. However, for those who’s main photographic system is Canon, this can be a contributor to an open-and-close scenario for the email. By swapping out an alternative section when the leads “Brand” equals “Canon”, engagement with the content can increase. Using forms on website ensures that you are delivering relevant content to a prospect, as well as gauging commitment and help confirm the validity of interest. You must ensure that you are providing value to prospects with the content you create, or your content marketing strategy will fall short. If leads are submitting forms, but you do not know where or why, you may be missing out on engagement. By understanding where form traffic is coming from, you can focus on creating or bolstering content surrounding those areas. For example: If a Contact Us form is getting the highest engagement, then consider a nurture campaign that sends relevant content about who you are, the services you provide, or any other relevant information.